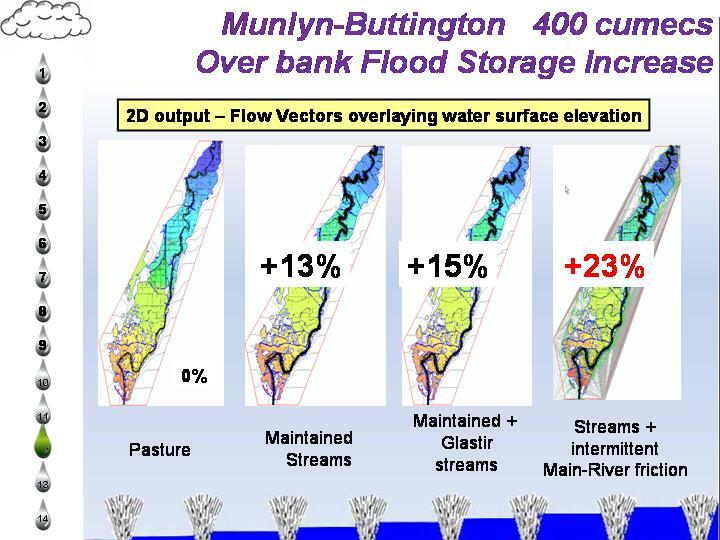 This pilot study, presented initially to government and industry at CIWEM’s Catchment-2011 UK conference, explores the use of dense vegetation at field boundaries to restrict flow and thereby create incremental natural porous ‘green reservoirs’ within the floodplain which attenuate overbank discharge. Flood-risk reduction is primarily flood-peak reduction. The work indicates that simple and sustainable flood water management techniques can offer significantly increased floodplain storage with low impact, which in turn can provide a real reduction in flood risk. Ongoing, focus is extended to the Multiple Benefits of High Friction floodplains in the Camlad sub-catchment approached through a SCIMAP framework. Whilst flood resilience is expedient to manage the legacy built environment, it is essentially reactive. Attenuation is a pro-active tool of human endeavour. A report on the research carried out to date (Experimental modelling of exceedance flows) is here . . . 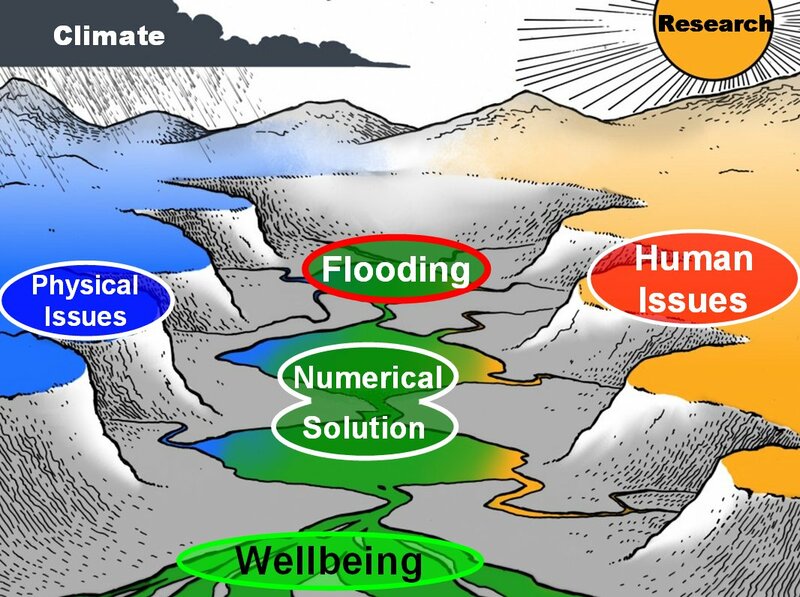 Successful analysis of flood waters requires an understanding not only of the physical and practical elements of catchment management – but also of the human contribution of upstream landowners for the benefit of vulnerable downstream communities.